Warning: Spoilers ahead for Sunday’s “Game of Thrones” season six episode. “Game of Thrones” wasted no time in its relatively short episode (52 minutes) Sunday evening. 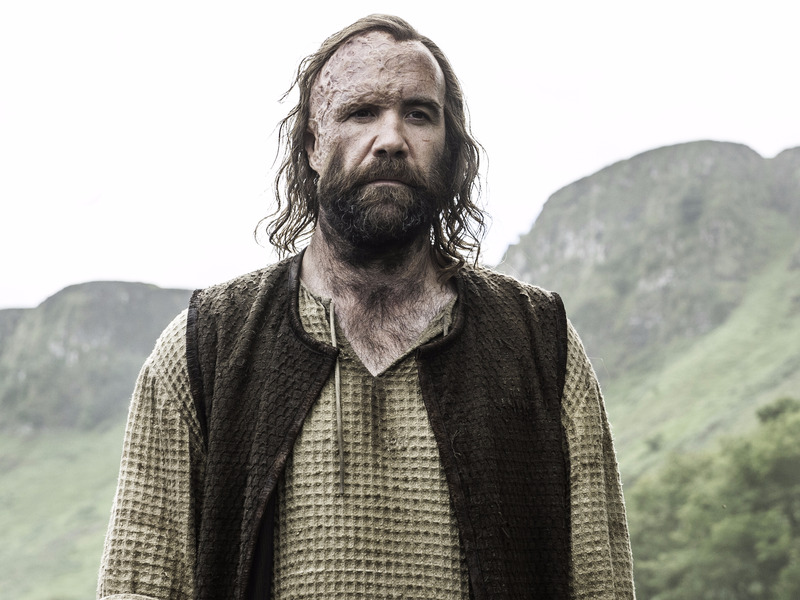 “The Broken Man” jumped right into the epic reveal of Sandor Clegane (The Hound) — alive and well. Only after the audience learned of the Hound’s survival did the regular title sequence begin. This was a rare “cold open” for the series. The last time it was done was in the season five premiere. Shock value aside, it turns out there’s a simple reason for the change in pace. Entertainment Weekly editor James Hibberd spoke with writer and producer Bryan Cogman about the choice asking what prompted the unusual midseason decision. “We figured it would make his reveal more impactful if the audience hadn’t seen [McCann’s] name in the opening credits first,” Cogman explained. Even though many fans were believers in the Hound’s return, it’s safe to assume the surprise was still there for other unsuspecting viewers. 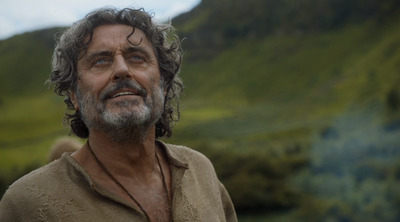 There was something poetic about the opening scene, with the band of peaceful believers in the Faith building some sort of religious structure in the Riverlands. The Hound’s limping but powerful introduction was the perfect set up for the episode’s theme of rebuilding, brokenness, and faith. Slaughtered indeed. With the Hound’s saviour (Ray) and his fellow peacekeeping people dead at the hands of the Brotherhood without Banners, the Hound seems primed to revisit his days of killing. Tune into next week’s episode, “No One,” on Sunday June 12 to see where the unpredictable series heads next.